This was the fifth in a series of Peace and Justice films that the Church has been screening. We hope to alert local people to the need to use peaceful ways to solve conflict here and around the world. Part of this is to raise awareness that injustice and discrimination lead to conflict. The film has won several awards including a human rights award, and taught us that there is something everyone can do to help the suffering women and children of Afghanistan. 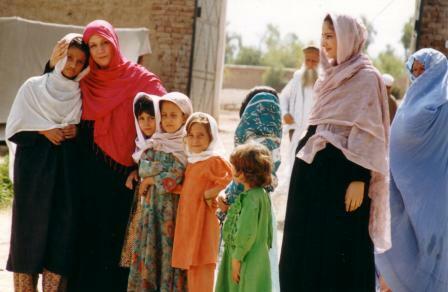 Afghanistan is one of the poorest countries in the world and also has the highest numbers of widows and orphans. Many concerned and interested northern beaches residents came to our church and were enthralled by this insightful and moving film last Sunday.. In the midst of crisis and conflict two amazing women have been working to help the victims of conflict, violence and poverty. The film featured Rosemary Morrow. who went there to teach the widows and the orphans how to survive by developing a permaculture that would supply food in an environmentally sustainable way. This is having good results but still, as she points out, the great need is a stable society to allow the cultivation to develop. Mahboba spoke about her work of building orphanages. She made a huge impression on the responsive audience . She spoke with a full heart, sometimes in tears, and answered many questions. We could see the huge effort she has made for several years to save these lovely children. Gary Caganoff ‘s film was both heart rending and beautiful . We will never forget the children – whose spirit is amazing. Gary also spoke and answered questions and was able to explain the trauma of the women and children, which still continues as the fighting and conflict rages. Donations were given to MAHBOBA’S PROMISE – our audience were enthusiastic and generous..
Avalon Group of Amnesty had a table with information and a petition was signed to the P.M of Pakistan about protection of Malala the young 14 yr old girl from Pakistan who was shot for defending women’s right to an education. We also asked that those who shot her be brought to justice. This documentary has won many awards including a human rights award – and it is easy to see why. 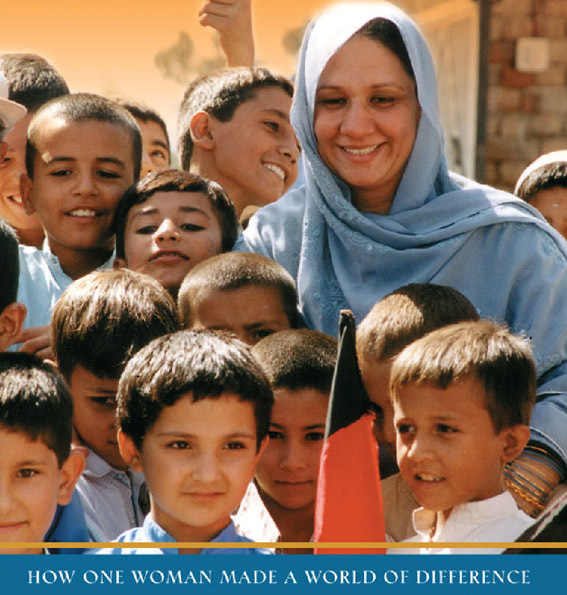 It explores the amazing efforts of two wonderful women who have provided means of peaceful survival for some of the poor and hungry,homeless and traumatised people of Afghanistan. It shows us the plight of the women (especially the widows) and the orphans. Gary Caganoff paints a heart rending picture of the need and shows how Rosemary Morrow brings hope to a torn society. She is a horticulturist and has developed a system of Permaculture which helps to erase poverty in those countries where starvation is rife. She has worked in Asia, Africa, Europe and Afghanistan – helping communities destroyed by conflict to support themselves by growing their own food in an environmentally sustainable way. The film shows the simple and understanding way she relates to the people, and how helps them to rebuild community, This comes first but after that widows and orphans learn how they can survive through permaculture. The film also shows us some of the work of another great Australian woman Mahboba Rawi . 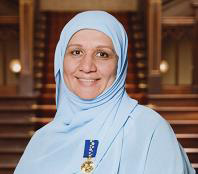 Mahboba has for many years been working for the orphans of Afghanistan through the aid agency “Mahboba’s Promise” set up in Australia . . Mahboba has saved thousands of orphans and has built orphanages in which the children thrive. See her working toward this in the film. Gary Caganoff’s moving and enthralling film helps us understand the problems faced in this war -damaged and conflict -ridden, but starkly beautiful, country Most of all it shows us how to use peaceful ways to solve many of the world,s problems and to sustain those who are suffering. We are fortunate that both Dr.Caganoff and Mahboba will be at the screening and will speak and answer questions! Mahboba spoke at a Church event during Rev,Robyn’s ministry a few years agon and we were all very impressed by her work and dedication.